Why Buy a Home in Roanoke, TX? 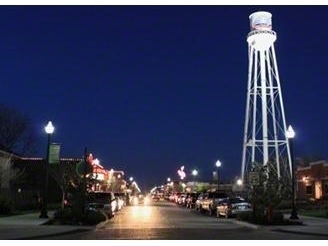 Here's my list of not so impartial reasons why it's a great idea to buy a home in Roanoke, TX. Being a 5th generation and lifelong resident of Roanoke, I now offer up some great reasons why someone would want to buy a home and live in Roanoke, TX, the Unique Dining Capital of Texas. I'll start my list of reasons with something I just mentioned; the fact that Roanoke has been given the designation by the State of Texas as the Unique Dining Capital of Texas. Crazy to think how far Roanoke, TX has come in the last 10 years. One of the areas where Roanoke has really excelled is in all the new restaurants that Roanoke now offers. Visitors and residents alike can stroll down historic Oak ST and enjoy some excellent fare, from fried Chicken to sushi. After dinner, there's plenty of places that offer great desserts. Another great reason why buying a home in Roanoke, TX is a great idea, is the fact that we have one of the lowest tax rates in the entire metroplex. Roanoke has had the same tax rate of $0.375120 per $100 for an amazing 22 years. An even more amazing fact is that tax rate has only increased 7% since 1933. Pretty remarkable that city leaders have been able to keep almost the same tax rate in place for 100 years. Because most mortgage companies escrow for taxes, this gives a lot of extra affordability to living in Roanoke. As if low taxes and great restaurants weren't enough to convince one to buy a Roanoke TX home, maybe the fact that Roanoke is perfectly located in the metroplex will be a compelling enough reason. Located in southern Denton County and half way between Fort Worth and Denton, Roanoke offers great access to major freeways and highways in the North Texas region. With quick access to DFW airport, Fort Worth, Alliance, Denton, Grapevine, Southlake Town Square, recreational lakes, golf courses etc...Roanoke is commuters paradise. Sure, there are other great places in North Texas to live because of location, but Roanoke can compete with any place. How about that small town charm. One thing I hear over and over from residents is how much they love being a part of this community. Roanoke, while having seen tremendous growth in the last 15 years, is still a small town relatively speaking. Roanoke also has a great sense of community. The city of Roanoke has been able to offer residents so many amenities such as parks, fields, water parks, playgrounds, community pool, recreational facility, activity center and a wonderful downtown. Ever notice how many towns don't have a real downtown? There are cities all around us that have no downtown at all! That's one thing that residents love about Roanoke. Roanoke has one of the best downtown's in the metroplex. And finally, the best reason to buy a home in Roanoke, is it's people. Roanoke has the nicest and warmest bunch of people around. Having lived in Roanoke my entire life and doing business here for 19 years, I can say without a doubt that Roanoke has the best residents. So if you want to go someplace and be able to count on having some good neighbors, then look no further. No matter what neighborhood you choose to buy in, you can count on being surrounded by some down home, friendly and neighborly people. Now that your convinced Roanoke is the place to be, let's get started finding the perfect home. In the event that you have to leave our beautiful little town, we can help you with that as well. Just click on the link below and you'll be taken to a place on our site where you can tell us a little info and we can do a comparative market analysis for your home.